Seamlessly upload files and connect your Wufoo forms to your Dropbox account in real time. If you have a Wufoo file upload form and a Dropbox account, you can use our Dropbox integration to link the two together. This means that when a customer uploads a file to your Wufoo form, the file is automatically added to your Dropbox account in a folder you specify, just like magic. 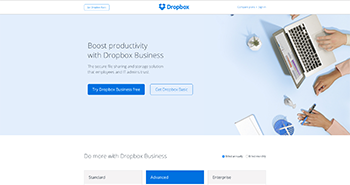 Now you can use Wufoo's professionally designed form templates with your favorite cloud storage application, Dropbox. No need to download and upload files from your forms, we'll do everything for you automatically and in real time.